If you already have a key, then please proceed to the Cartographica download page. If you have already requested a key and have not received it, or have lost it, please use our lost key form. A key access message will be sent to your email address from keymanager at cluetrust.com, so if you are using aggressive spam protection, you should add that email address to your list of allowed senders. If you have any other problems, or do not receive your key access message within a reasonable period of time, please contact us through our support page. Thank you for your interest in purchasing Cartographica! ClueTrust uses our partner 2Checkout to handle transaction processing. For commercial and individual purchases, please click on the Buy Cartographica link to go there now. 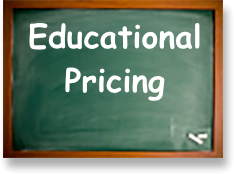 Academic and student pricing of $346.50 (USD) for our full version is available for individuals and organizations able to prove eligibility as faculty, student, or staff of an approved and accredited degree-granting institution. To request the special pricing please contact us through our support site. ClueTrust also offers an annual license for students enrolled in degree granting institutions. For $99/year (USD), Student licenses are available and are locked to a particular machine (although students are also eligible to purchase full Academic licenses under the terms above if they desire a version without these limitations). Contact us through our support site to confirm your eligibility and request student pricing.